In the beginning scenes of the film we see Kashmora (Karthi) is a black magic specialist , helps a family which is tormented by a spirit. He fights the spirit and saves the family. He issued as a saviour to the public and even Prayed as God my the people who come and visit him and his family in his Ashram. In reality he and his family are all frauds fooling people and running scams . Yamini (Sridivya) a college student who is fascinated by ghosts and after life tries to join Kashmora’s group. But she learns his true colours and waits for an opportunity to defame him. Meanwhile a politician reaches Kashmora to get rid of bad luck and to save him of imprisonment from an ongoing murder case. With luck and coincidence Kashmora saves the politician and becomes more popular. When all in favour of Kashmora he is approached by old man to help him wade of bad spirits from his house. Though reluctant at first Kashmora agrees to help him,little did he realises that fate has drawn Kashmora and his family to the spirits themselves . What happens next is the rest of the story. Kodi and Anbu ( Dhanush) are twins of Karunass a party worker, who sacrifices his life for the his political party. Kodi also follows his father’s footsteps and slowly becomes the leader of the youth wing. Though Kodi is actively involved in politics his twin Anbu follows his mothers steps and becomes a professor and exact opposite to Kodi. Like Kodi his girlfriend Rudra ( Trisha) is also into politics from childhood , but in the rival and ruling party. When a public crisis raises questions on Kodi’s party , Rudra tries to make use of it to raise herself in the party . This breaks the Kodi and Rudra relationship , and also tests Kodi’s loyalty to his party. What becomes of Kodi is the rest of the story. Hailed as the saviour of villagers of Puliyur ,Pulimurugan ( Mohan Lal) is the king of the forest who saves them from the man- eating tigers which stray into the village. After a brief flashback of how he becomes a hunter we are taken into life of Pulimurugan and his family. 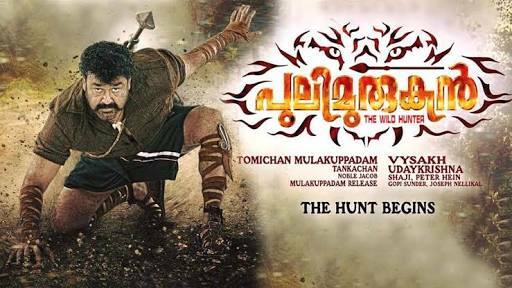 Though Pulimurugan is a fearless hunter, he is also a loveable husband and a caring father. Life in the forest is peaceful until Pulimurugan gets into trouble with the law when he helps his brother’s friends . He is forced to leave his village and take sanctuary under a businessman / kingpin named Daddy Girija( Jagaapathi Babu ). What becomes of Pulimurugan after this is the rest of the story.